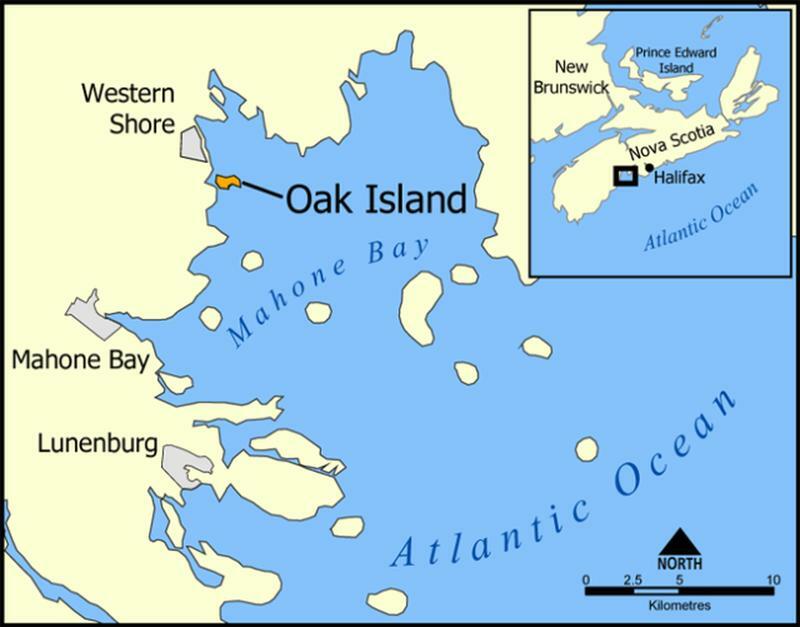 The first official info about Oak Island appeared in a newspaper in 1857, which reported that a group of people is seeking for the treasure of Captain Kidd. A few years later, J.B. McCully, a treasure hunter from Truro, Nova Scotia, wrote that the first inhabitants of the Island heard the story about Captain Kidd’s treasure from an old sailor. The sailor had confessed before he died that he was part of Kidd’s crew and that around 2 million pounds of treasure were buried on an Island somewhere. 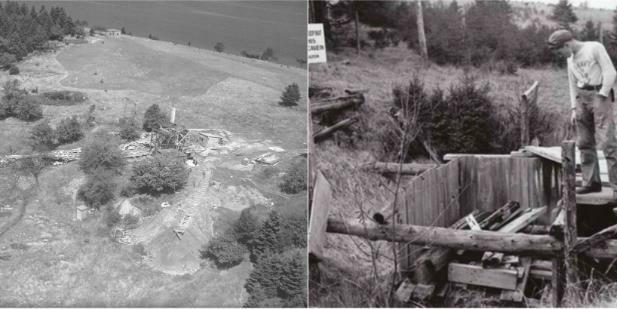 According to McCully, a certain Mr. McGinnis, one of the first settlers on Oak Island, was searching for a suitable location for his farm when he stumbled upon a depression in the ground which reminded him of the story of Captain Kidd’s treasure. McGinnis, with the help of two other settlers, started digging at the location and found a layer of paved stones just two feet below. Deeper in the ground, they found layers of logs at almost every 10 feet (3.om). All of the material looked like its artificially placed there. Allegedly they stopped digging after 30 feet (9.1 m) because the locals refused to go further in fear of a curse. According to this version of events, McGinnis made the first excavations on the Money Pit location in 1799. The Onslow Company stopped their excavations after the pit was flooded up to the 33-foot (10 m) level, but this didn’t stop other people from trying to dig all the way down. Another group of treasure hunters, “the Truro Company,” came to the island in 1849. They managed to drain the pit but soon it was filled with water again. They decided to take a different approach. A drilling rig was placed to drill below the flooded shaft. On the 98 feet (30 m) mark, they discovered a spruce platform and then what was described as “metal in pieces,” some oak, then metal again, ok, and another spruce layer followed by clay 7 feet (2.1 m) down. 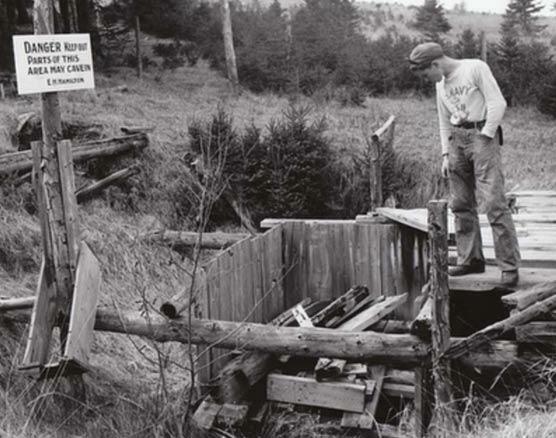 In 1861, a company called the Oak Island Association came to try their luck. While digging, the bottom of the shaft collapsed. The cavity that formed was either naturally formed or, as some people believe, a booby trap created intentionally to protect the hidden treasure. A person died during this excavation when the boiler of a pumping engine burst. Soon the Oak Island Association gave up trying. More attempts were made in 1866, 1893, 1909, 1931, 1935, 1936, and 1959. The excavation didn’t reveal anything new except one thing; after pouring red paint into the pit, they discovered three different exit channels (or flood channels) around Oak Island. 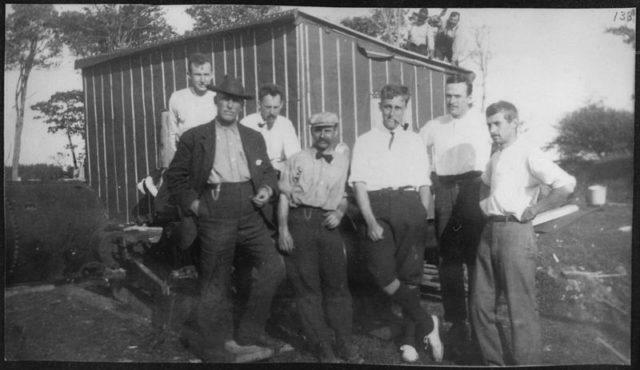 It is interesting to mention that Franklin Roosevelt was part of the Old Gold Salvage group that excavated in 1909. He even visited the island, and made sure to stay constantly up to date with Money pit investigations. Probably the most tragic attempt was the one in 1965, when Robert Restall and his 18-year-old son came on the island in search of the treasure. One day they tried to seal one of the alleged flood tunnels (in Smith’s Cove). Unfortunately, on August 17, 1965, Restall was intoxicated by carbon monoxide fumes from a gasoline engine. His son went down in the shaft to save him and lost consciousness too. Three more people were there at the moment, and all went down to save the Restalls: Kal Graesser, Restall’s partner, and workers Cyril Hiltz and Andy DeMont then went down as well. Edward White, a visitor to the site at that time, managed to save only Andy DeMont. Four people lost their lives. This event didn’t stop people trying. In 1971 the Triton Alliance group managed to lower cameras in a 235-foot shaft they made. The claimed that chests, human remains, and tools could be seen on the blurry photos, however, this was never confirmed. This shaft also collapsed, and excavations stopped again. As of 2006, a group called Oak Island Tours own 78% of the island. Private parties own the remaining 22% of the isle. The team assured people that they would continue digging on the island, hoping to solve the mystery once and for all. In the meantime, theories about what lay beneath the ground on Oak Island keep popping up. Here are some of the wildest ideas people have about what hides in the Money Pit: Spanish naval Treasure, Marie Antoinette’s jewels, Shakespearean manuscripts, Knights Templar treasure, the Ark of the Covenant, Freemasonry artifacts, and many other. On the other hand, skeptics and scientist have an entirely different opinion about the pit. According to some of them, the Money Pit is a naturally occurring sinkhole. 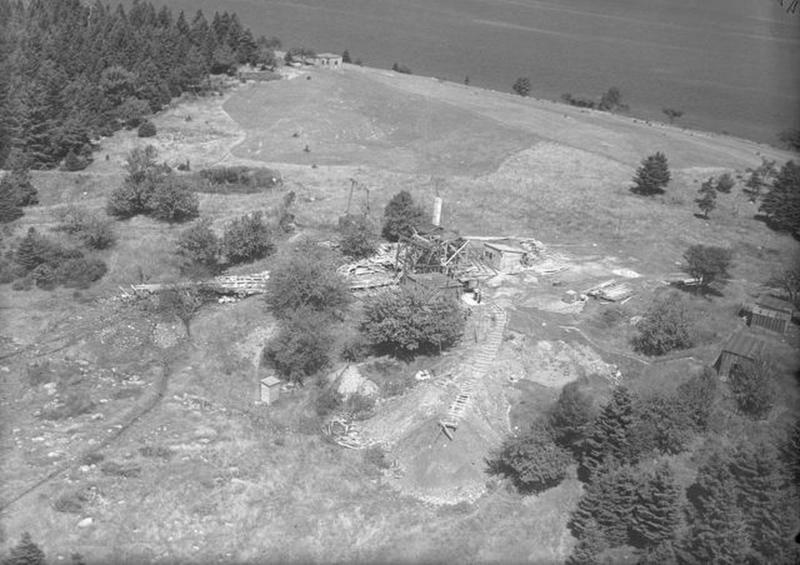 The mainland near Oak Island has many sinkholes and underground caves. Sinkholes are known to accumulate all kinds of debris.